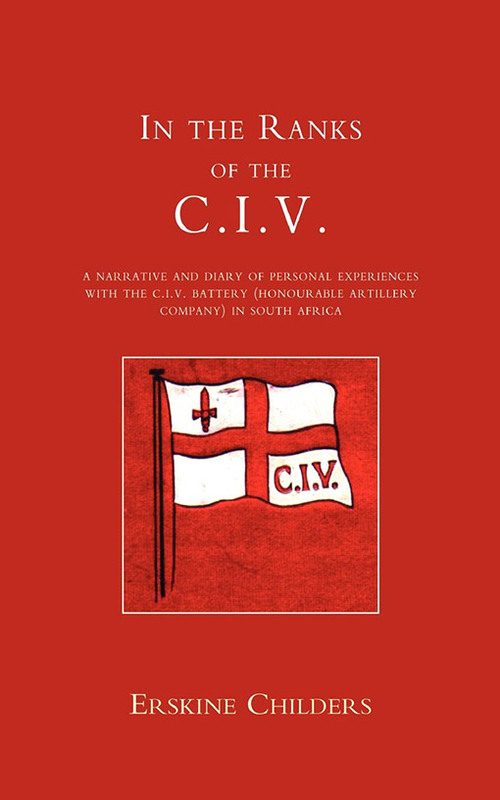 IN THE RANKS OF THE C.I.V: A Narrative and Diary of Peronal Experiences with the C.I.V Battery (Honourable Artillery Company) in South Africa. 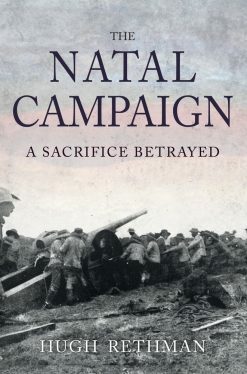 A narrative based on a campaign diary (Feb-Oct 1900). 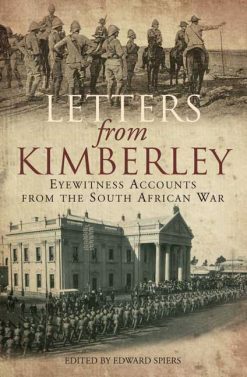 The Battery was chiefly employed in column work and garrison duty along lines of communication in the Orange River Colony and central Transvaal. The book is subtitled “ A Narrative and Diary of Personal Experiences with The C.I.V. Battery (Honourable Artillery Company) in South Africa. What gives added interest to the book is the identity of the author. Childers, who also wrote the classic pre-1914 spy novel Riddle of the Sands, was a volunteer driver in the Boer War and in the Great War served in the RNAS and the RAF, reaching the rank of Major and winning the DSC. He was elected to Dail Eirann after the war, he opposed the Anglo-Irish Treaty of 1922, supported De Valera and joined the Republicans when they again took up arms. He was captured in Wicklow, tried and found guilty of treason and executed on 24th November 1922. 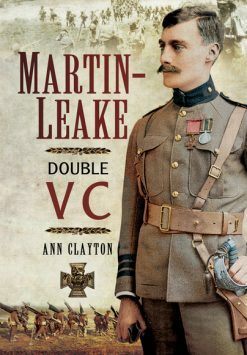 The City Imperial Volunteers were formed at the end of 1899 and part of that regiment was a battery of four Vickers Maxim guns, supplied by the Honourable Artillery Company – the unit Childers came over from Ireland to join. 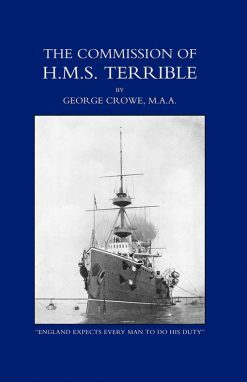 After a three week voyage they arrived in S Africa at the end of February 1900 but it wasn’t until June that they eventually saw action, at Lindley. Childers is a good writer and his description of life on campaign is highly entertaining and informative.